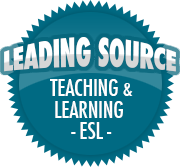 Support for Diverse Readers and Speakers | So, You Think You Can Teach ESL? Immersive Reader – Microsoft offers this free suite of reading aids through OneNote or directly through it’s Microsoft Edge browser. If you install the extension on your browser, you can change the background, break words into syllables, search for certain parts of speech, focus on a line, access a picture dictionary, translate, and read text out loud. Thanks to Leslie Fisher for demonstrating all of these features!